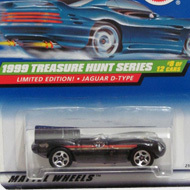 9/12 from the 1999 Treasure Hunt series. 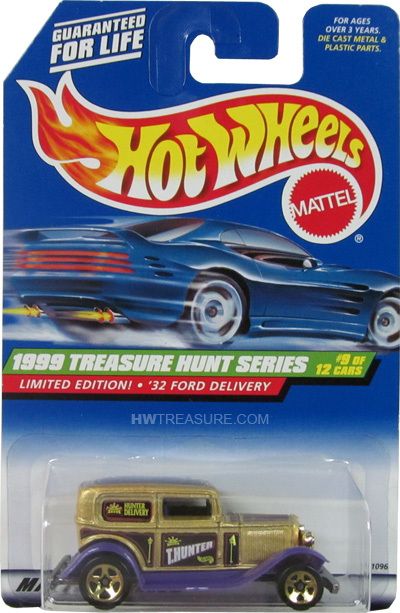 The Ford has gold metalflake paint emblazoned with “T.HUNTER” and the Hot Wheels logo on the doors, “HUNTER DELIVERY” on the sides, and black, gold, and yellow graphics on the sides and top. 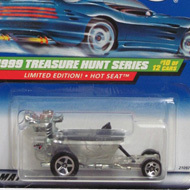 It has purple fenders and running boards, gold 5-spoke wheels, and an unpainted Malaysia base.